Could this be the point on your healing journey where you find the solutions that can improve your health and change your life? If you are experiencing physical, mental, emotional or spiritual pain your first thought every morning is likely “Where am I going to find relief?” If what you have tried so far has not been working, a new approach and alternative ways of rejuvenating yourself may be necessary. Why is a Healing Session at Crystal Earth Effective? We provide an exclusive experience that you can only get through Catherine and Allan. Our first goal at Crystal Earth is to find out what is causing your wellbeing to suffer. Merging their knowledge and expertise Catherine and Allan have a mutual passion and long-held purpose to help people. 3. Extraordinary gifts and abilities. With their intuitive abilities and strengths Catherine and Allan have facilitated some amazing shifts for people. Seldom can you have two such extraordinary individuals synchronize their focus for your greater good. You will find them in complete harmony and dedicated service to you. Your experience will brim with gentleness and insight. Their obvious love for their work and each other expresses itself in their compassion for others. Both the Past Life Journey and Spiritual Journey provide priceless revelations and are essential in your quest for healing. Exploring your past lives provides revelations into what may influence your current perceptions, choices and experiences. Allan has the ability to see what you see and feel what you feel and with this knowledge and insight you can work with Allan to understand the blockages that may be holding you back. Experiencing a Spiritual Journey boosts you on your spiritual path and because your spirit is so closely connected to your physical body and your mind you can make more sense of your life and manage your equilibrium. Your whole wellbeing is given attention in a healing session. Besides acute awareness, sensitivity and intuitiveness Catherine integrates her gifts and abilities with ancient healing modalities, massage and bodywork techniques, reflexology, Reiki, Zenith Omega Clearing, nutritional therapies to help you. Her connection with spirit and energy forces will empower you to heal. This is a profoundly special place for healing. Surrounded by the natural rhythm of nature anyone who comes here is better able to be in sync with what's happening in their quest for healing. Besides its history, the veins of milky quartz crystals whose electrical properties serve to heighten the vibrations needed for healing, and the sacred portals provide an ideal natural atmosphere to find relaxation and rejuvenation. 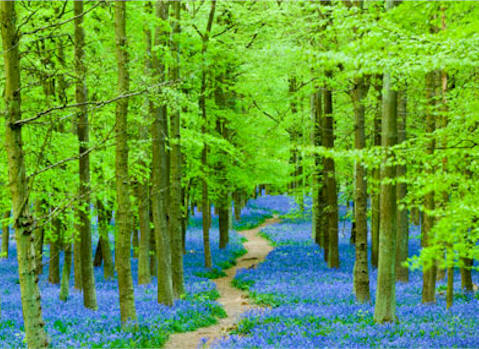 People often embark upon a healing journey in times of difficulty, career change, moving, divorce, bereavement or illness. The fear or stress from situations like these can make it very difficult to maintain equilibrium. We work with you to achieve insight about the influences that can adversely affect your wellbeing, making it difficult for you to maintain your equilibrium. Equipped with this knowledge you're provided tools and resources to help you to heal. This is done through Journeys and several traditional and ancient healing modalities. Energy Healing and the discoveries from Past Lives and Spiritual Journeys work so well together. As Allan says: "My work shows them why and Catherine's work shows them how." Healing is a process, not an magical instantaneous cure. It may take time to free you of the years of accumulated damage. There will be no slap on the forehead or tap on the shoulder to let you know that your issues are resolved, but throughout the process you will experience profound inner peace and a release of emotional pain and often find that your physical discomforts have eased as well. Catherine and Allan work separately and together to facilitate your healing using methods exclusive to Crystal Earth. A guiding hand, inspiration, a boost of energy, another's experienced eye or another's loving heart is sometimes necessary to get started on your healing journey.